New hi-tech weather forecasts will give Surrey drivers even better protection from ice and snow this winter. Surrey County Council is introducing route-specific forecasts that focus on which roads will be coldest and need advance salting rather than whole areas. The new forecasts are being introduced on the 11 priority gritting routes with one of the biggest swings in temperatures across an area covering Tandridge, Mole Valley, Epsom & Ewell and Reigate & Banstead. On top of this all Surrey gritters hit new Government best practice standards by adjusting the salt spread rate even more precisely. 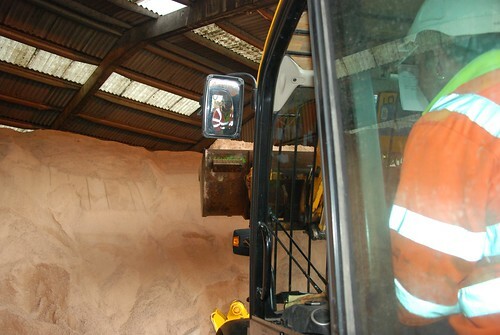 · Stockpile 16,000 tonnes of salt to treat roads across the county. · Fill 1,787 grit bins to help communities treat roads and pavements. · Do practice runs with the council’s 39-strong gritter fleet. The gritters are supported by two mini spreaders to get to difficult-to-reach areas, as well as an army of 51 volunteer farmers equipped with spreaders and ploughs and local charity Surrey 4 x 4 Response to help out if the snow is particularly heavy. Residents can find out more on the county council’s website. John Furey, Surrey County Council’s Cabinet Member for Highways, said: “We’re ready to keep Surrey moving when winter hits, and this year we’re even better prepared thanks to our new route-specific forecasts and even more accurate salt spreaders. The SurreyTravel twitter feed will provide updates on gritting activity, roadworks, road closures and traffic information.